Mist rolled over the mountains this morning like dragon’s breath as we cruised out of Telegraph Cove. 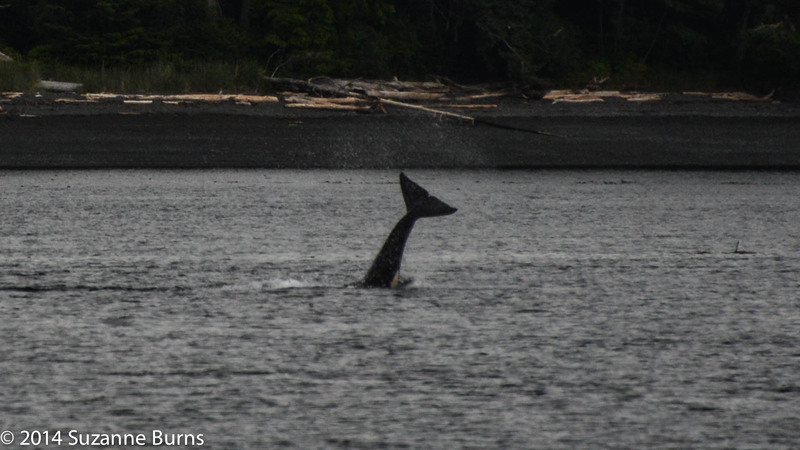 Within minutes of our trip we saw our first blow of a humpback whale while watching several mature and immature bald eagles. 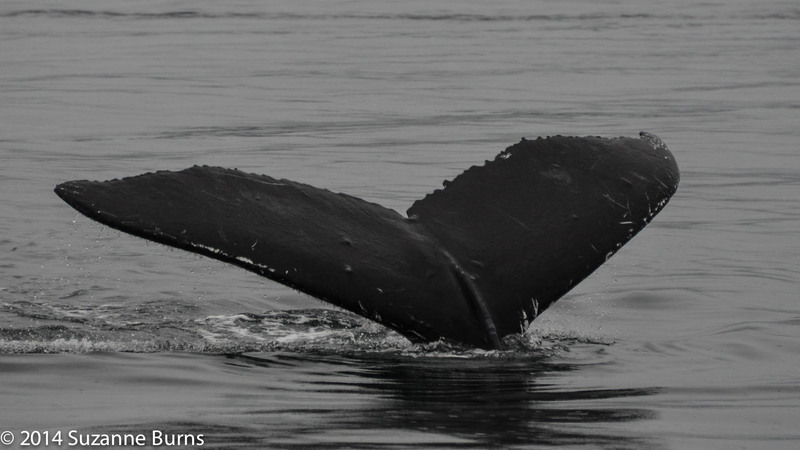 We were able to identify the two humpbacks with the help of our on board naturalist, Kyle who referenced the MERS Humpback ID catalog (www.mersociety.org). The first whale identified was ‘Argonaut’ and the other was ‘Slits’. Argonaut is so named as it has what looks like a capital ‘A’ etched into the left underside of it’s fluke. Slits is a newcomer on the scene, having been first spotted last year. Both whales appeared to be ‘logging’ i.e. spending lots of surface time resting and short dives of 6-8 minutes. 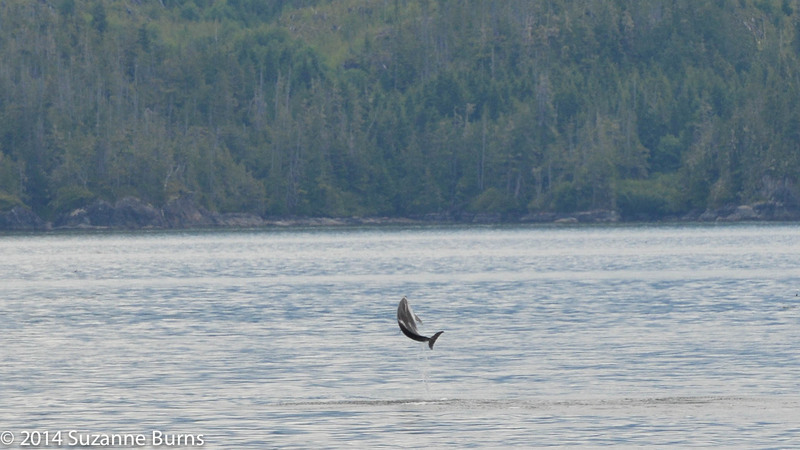 At times Dall’s porpoises were all over the whales, leaping around them. 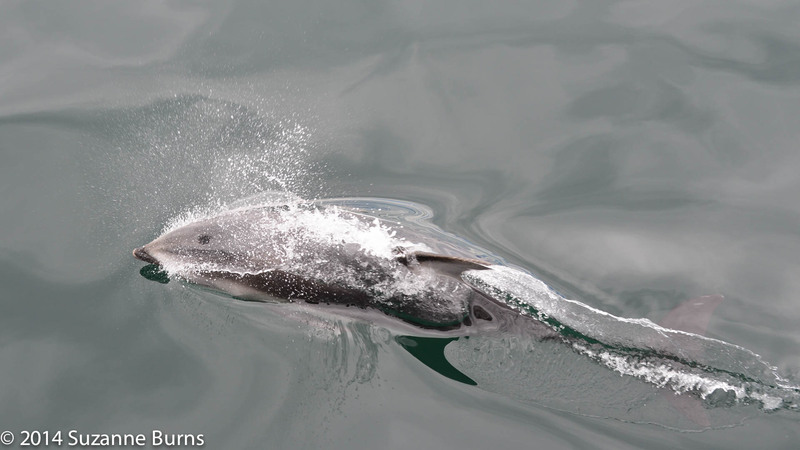 The Dall’s porpoises were numerous and very active bow and wake riding the boat. It was quite the sight. 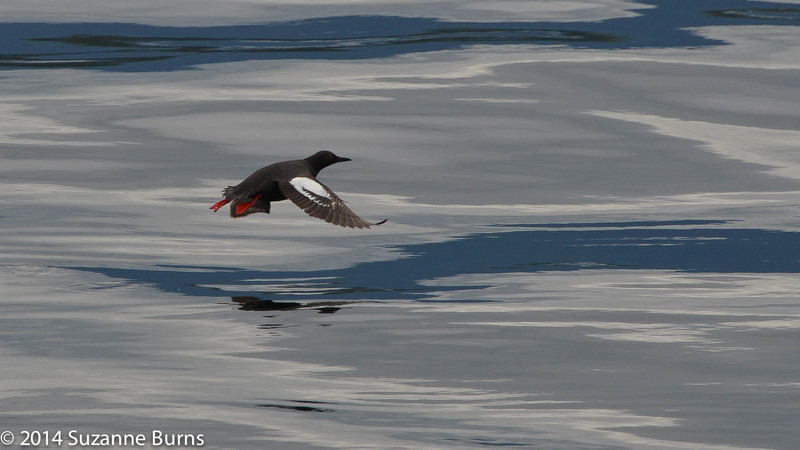 Rhinoceros auklets and murres were some of the other alluring avians we saw today. We even saw a small black tailed deer feeding high on the edge of a cliff. Our afternoon sailing was a glorious combination of moody fog and brilliant sunshine with the animals providing us with tantalising glimpses into their worlds. 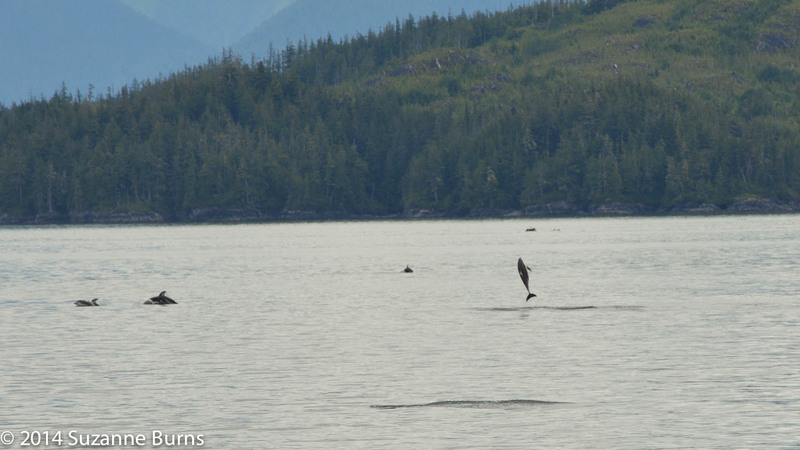 Dall’s porpoises were repeat offenders and came along wake riding the Lukwa. The mist rolled in again and we initially tried to find ‘whales by braille’. By this, we took our time and listened carefully to the characteristic resonant sound the humpbacks make when they breathe on the surface. The fog, thankfully, was not meant to be. We made our way towards the ever increasing blue and entered Blackney Pass. The water whirled and fumed as we sailed through, churning up all sorts of small creatures in it’s fury. Two whales were found to be capitalizing on this bounty, feeding furiously in the maelstrom. The two seen were identified by Sophia our naturalist as ‘KC’ and ‘Guardian’. 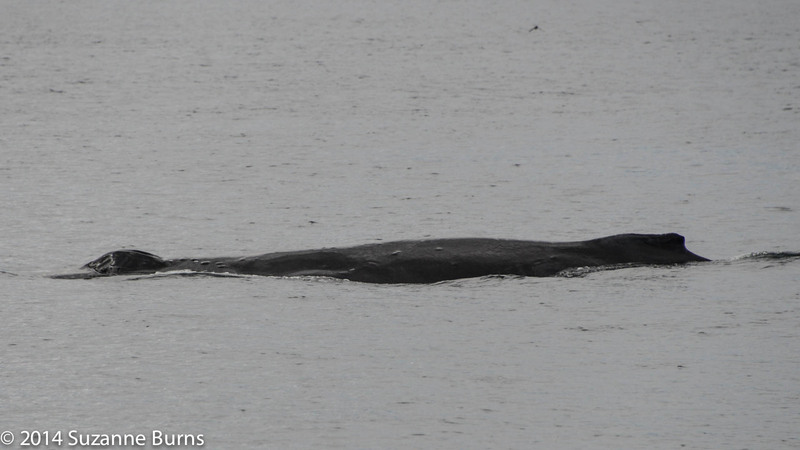 KC had been spotted approx.40km south yesterday so it made it all the more special to see this whale. We spent an hour here watching these behemoths weave their way through this whirlpool. 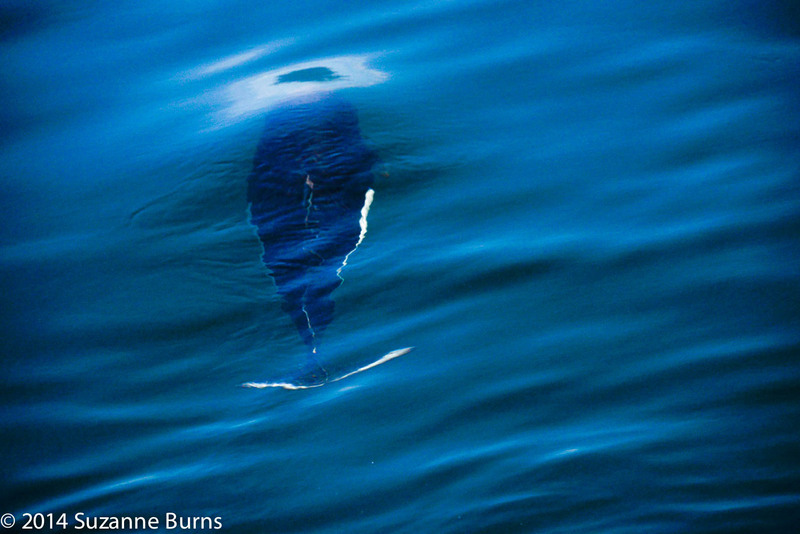 An unexpected guest also joined the goodness and happened to be a minke whale which is known as ‘Bolt’. Bolt has been seen in this area since 2000. Our guests were thrilled to see such a prolonged and wonderful sight of these whales feeding and diving. One couple called Phil and Tania from Gloucester, England fulfilled their dreams by seeing these gentle giants wild and free. Glaucous winged gulls, young and older sat and flew over the riffled water, unperturbed by all the activity around them. 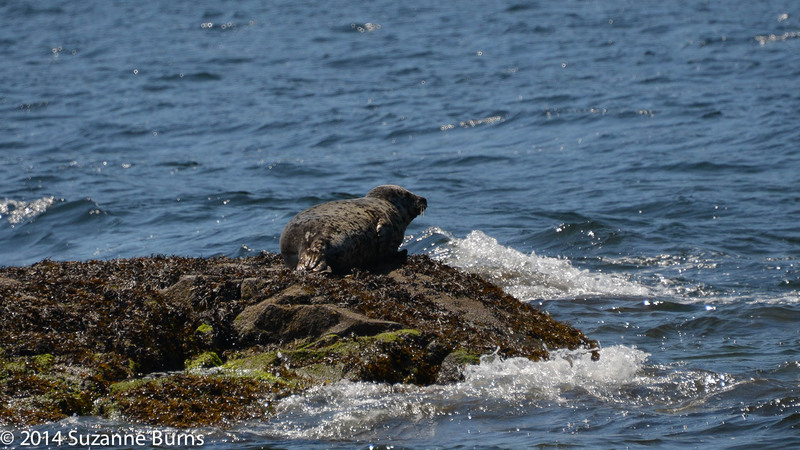 At Weynton Island, a couple of harbour seals were precariously balanced on rocks. As we made our way back towards home, the wildlife kicked off in earnes. 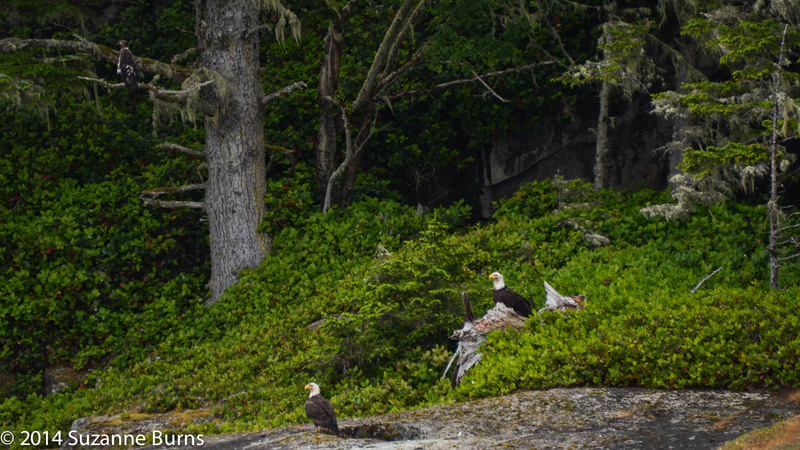 Two Steller sea lions roared in the kelp, as some beautiful bald eagles flew above them. 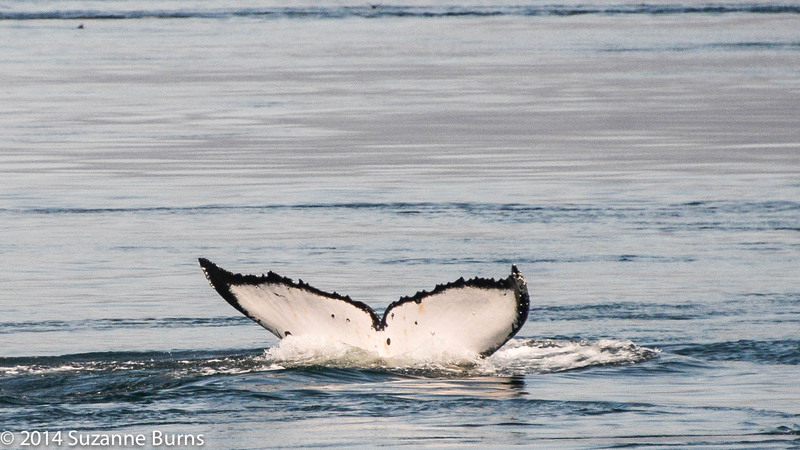 Two more humpbacks appeared close by, providing us with ample opportunities to observe and photograph them. Slits was one of the two seen again. We wrapped up our trip with a glorious cruise back to port. Life is good! What makes a day special? 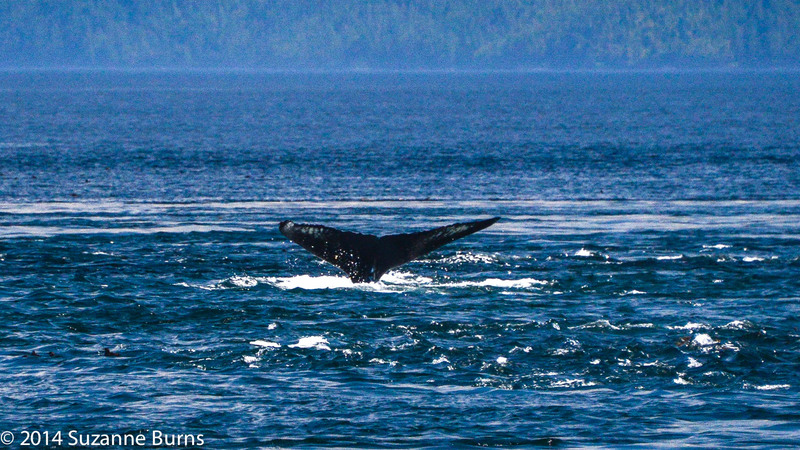 Wildlife, and particularly whales! We had two fantastic trips today with a vast array of beautiful creatures, from Dall’s porpoises, harbour seals, Steller sea lions, Pacific white sided dolphins, humpback whales, deer, orcas, eagles, rhinoceros auklets and even a sea otter!!! The porpoises were our entourage as we started our morning. 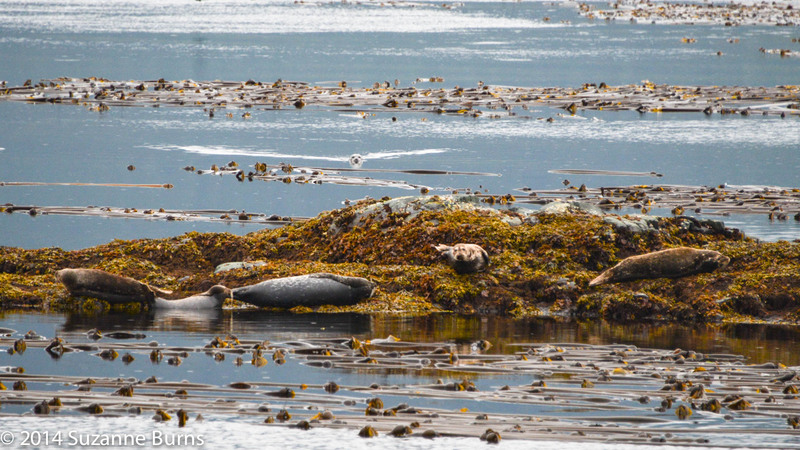 They were superseded by seals hauled out on the rocks at Whitecliff Islands. 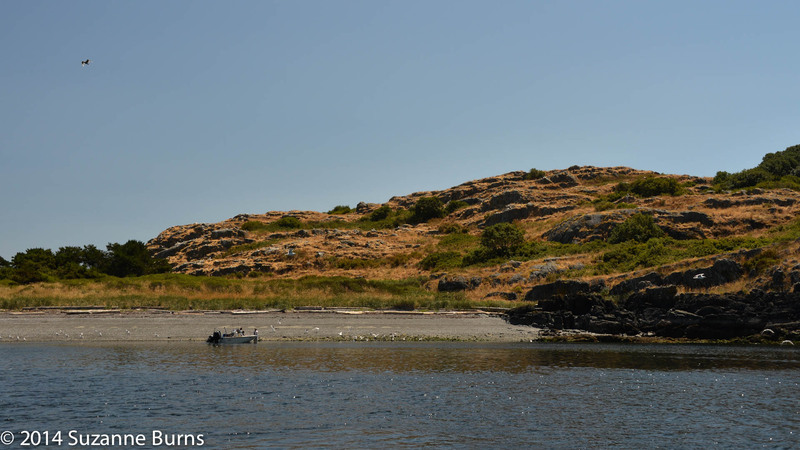 A couple of sea lions were swimming around the Plumper islands. The dolphins got in on the action and approx. eight adults bow rode the boat to our amazement. 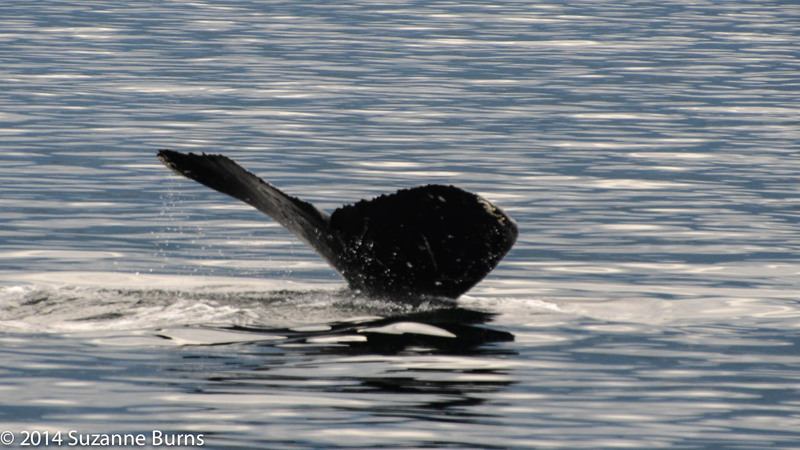 In Bull Head, Weynton Pass which is synonymous with whales and orcas, we were thrilled to see six different humpbacks. 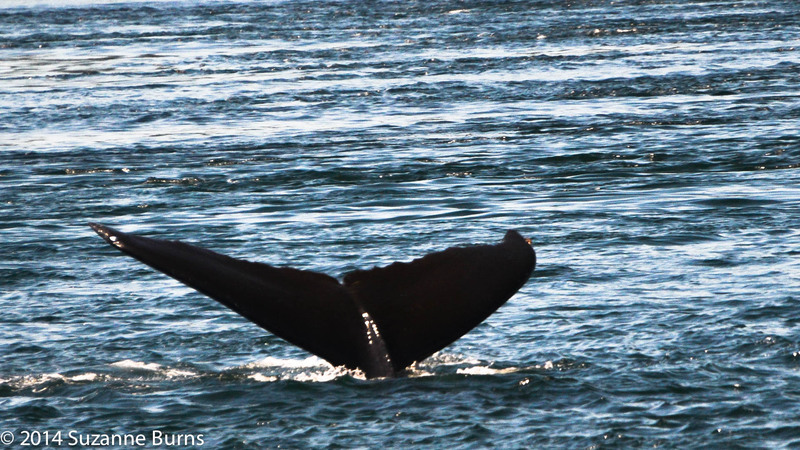 Our boat naturalist Kyle was able to identify three of the whales. The ones he recorded were ‘Argonaut’, ‘Horizon’ and ‘Conger’. Our Captain Geoff got word that a rare sea otter was in the area. 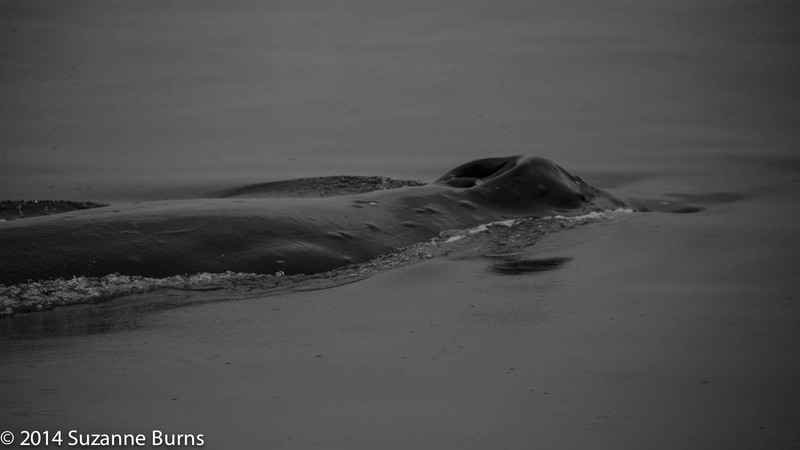 They are seldom seen on our trips so we were thrilled to see one at Whitecliff Islands. It appeared and then disappeared quickly, giving just enough time for a quick viewing. Our afternoon trip was slightly damper with the rain coming in. Luckily the wildlife here are predominantly pelagic so pay no heed to such frivolous concerns. 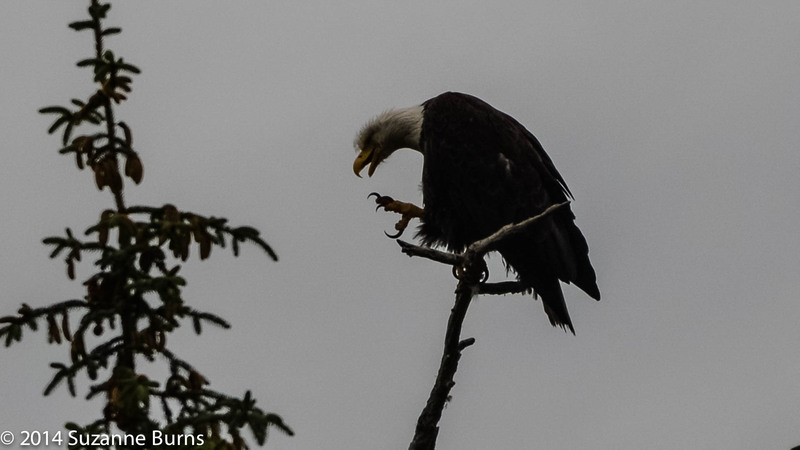 At the Plumper’s, the eagles swooped and soared over the trees. Argonaut came back with a big steaming breath near our port side. He had a companion to the starboard side which we were unable to identify. 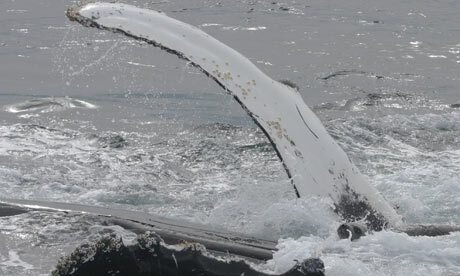 Within minutes, two more humpbacks appeared with one of them confirmed as ‘Guardian’ by Alison, our naturalist. 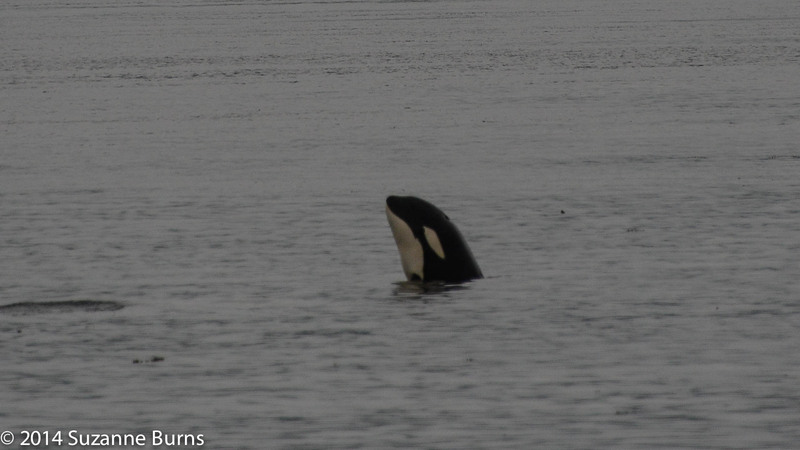 We got word from a local researcher, Jared Towers that transient or Bigg’s killer whales were close to Alert Bay so off we went. Our excitement mounted as we ventured forth to find ‘Blackfish’. 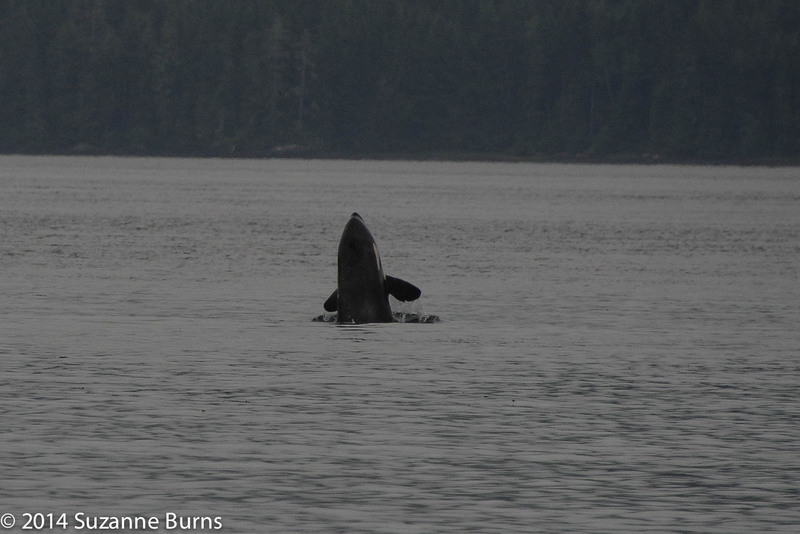 A big male orca known as T012A was the first one we spotted, swimming close to the shallows. 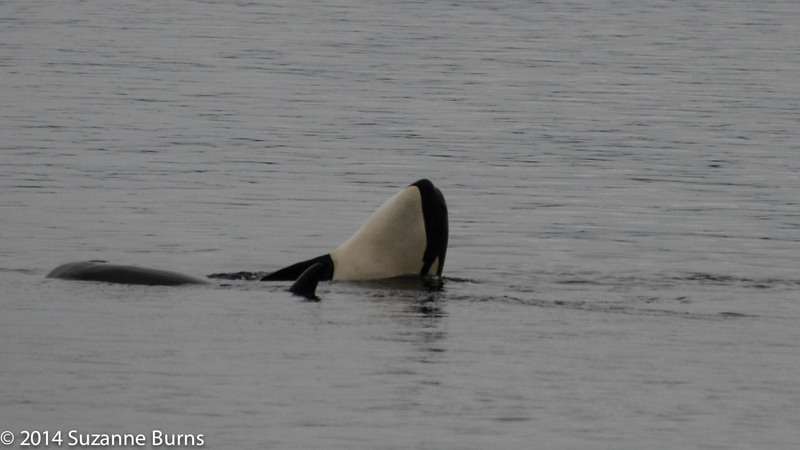 This is a 32 year old lone orca that is known to occasionally associate with other transients. 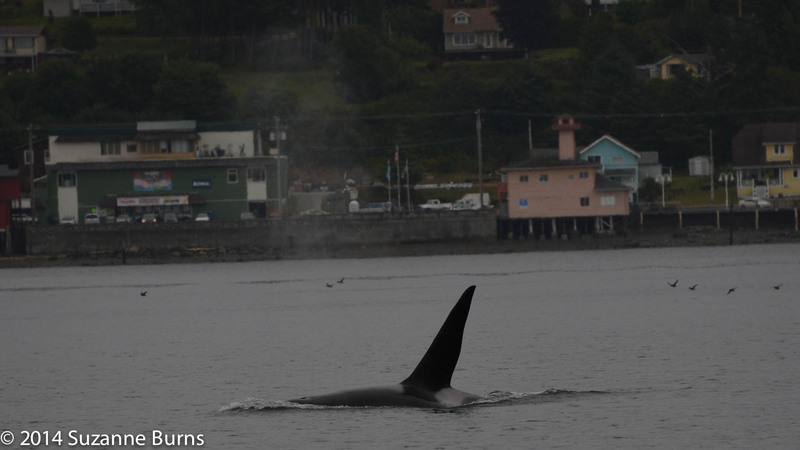 A small family group of transients was then seen straight ahead of us known as the T109A’s. This family consists of a 24 year old female with three young ones that were born in born 2005, 2009 and 2012. These four initially appeared to be resting but then the young ones youthful exuberance took over. Breaching, spy hopping and tail slapping were all behaviours witnessed over the next half hour to our delight. 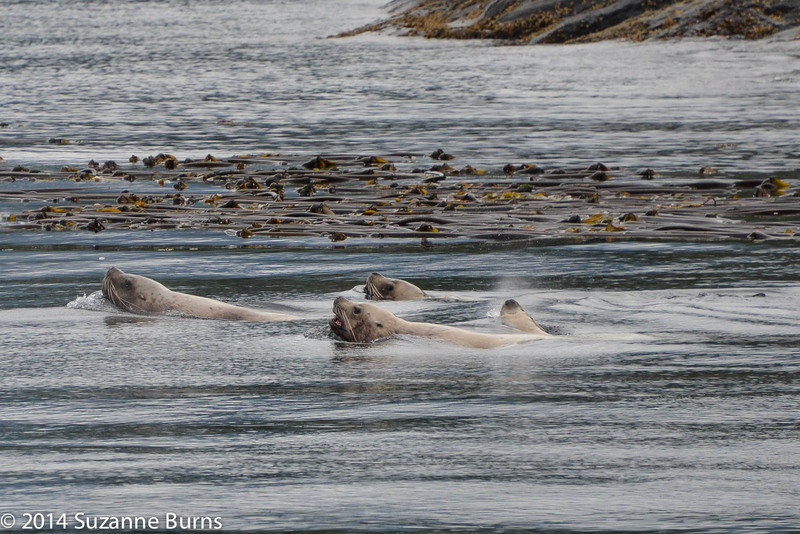 Heading back to port we saw some harbour seals with last year’s young. 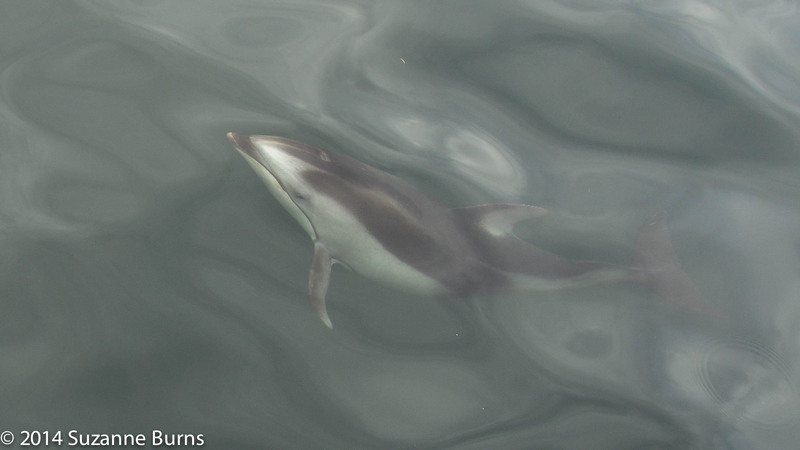 The Dall’s porpoises made another visit through the Plumper Islands. 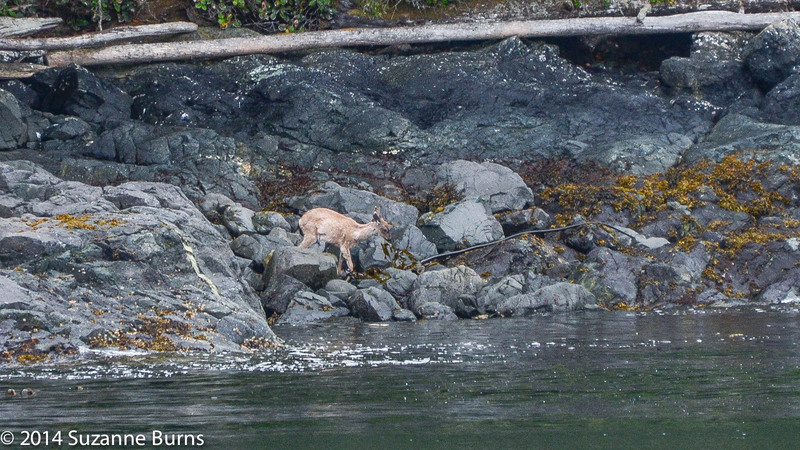 A guest from Switzerland spotted a young deer on shore nimbly leaping over the rocks. 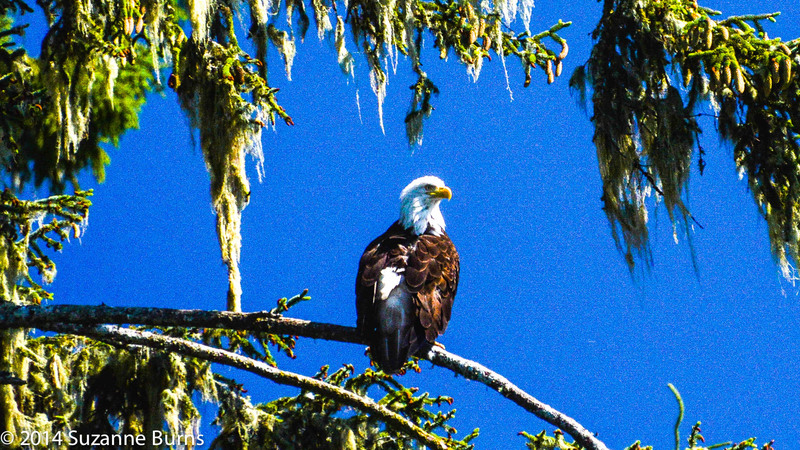 The eagles were seen to gather in the trees high above us, young and adults all vying for space on the branches. Below them, four male Steller sea lions broke the water surface in unison, before diving swiftly again. A day bursting at the seams with wildlife and incredible spectacles. We were truly blessed. 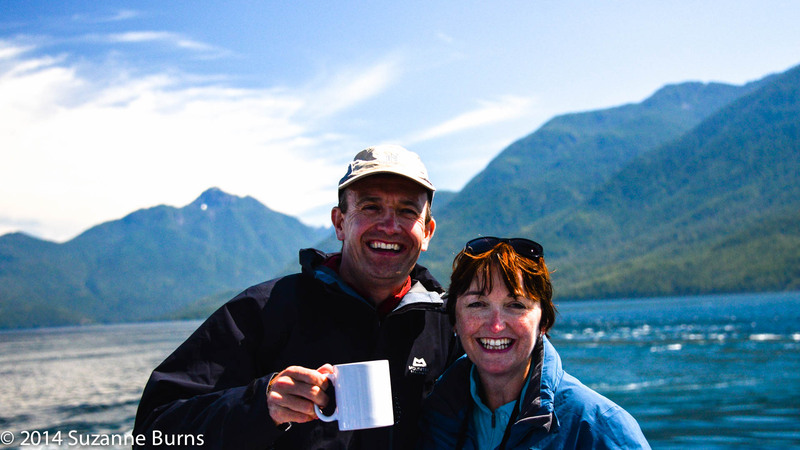 The weather and wildlife gods smiled on us today as we set forth on our boat ‘’The Tenacious III’’. 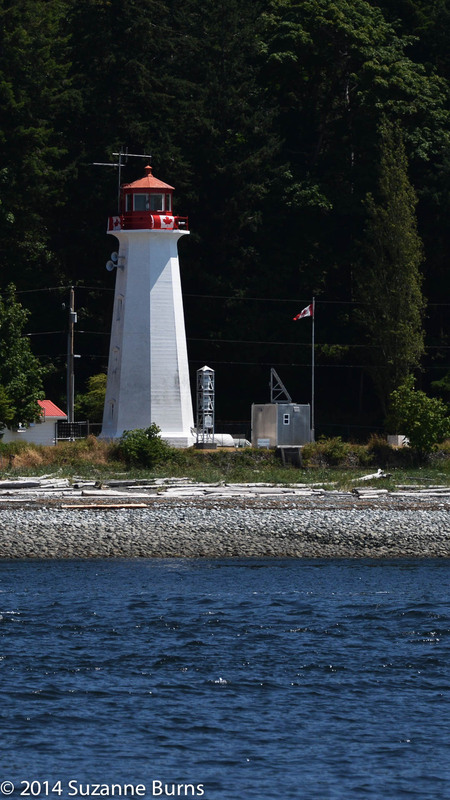 Our first brief stop of the day was in Seymour narrows, close to Ripple Rock. Sun glittered on the water as we cruised through and cut the engine. We were afforded the chance to linger in this auspicious piece of water and watch the swirling whirlpools churn and froth around us. 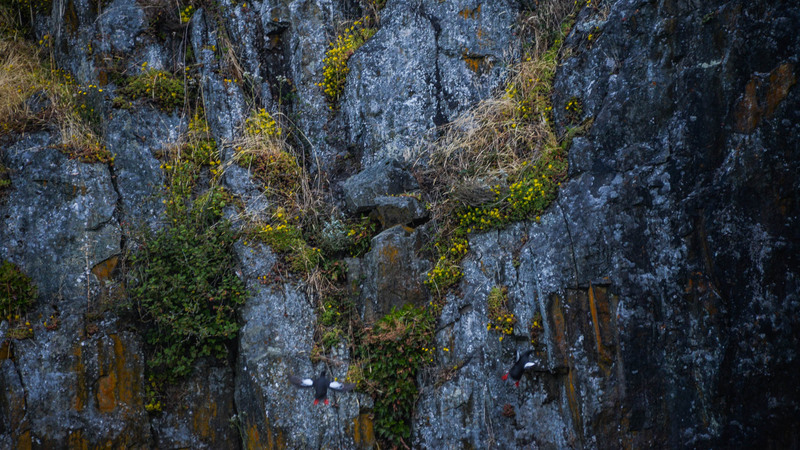 Around the cliff rock called Copper Bluffs, small flocks of pigeon guillemots flew to and from their nests on the cliff face, illuminated by the brilliant sunshine. 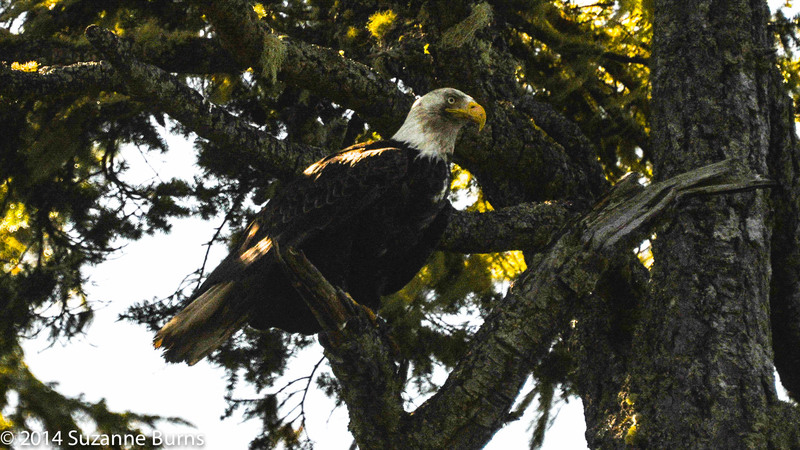 No sooner had we approached Quadra Island when we had some curious visitors approach us. 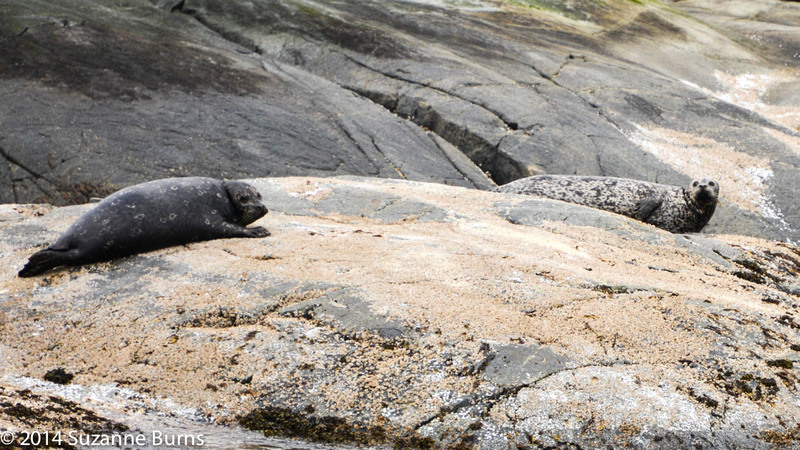 These inquisitive creatures were harbour seals! 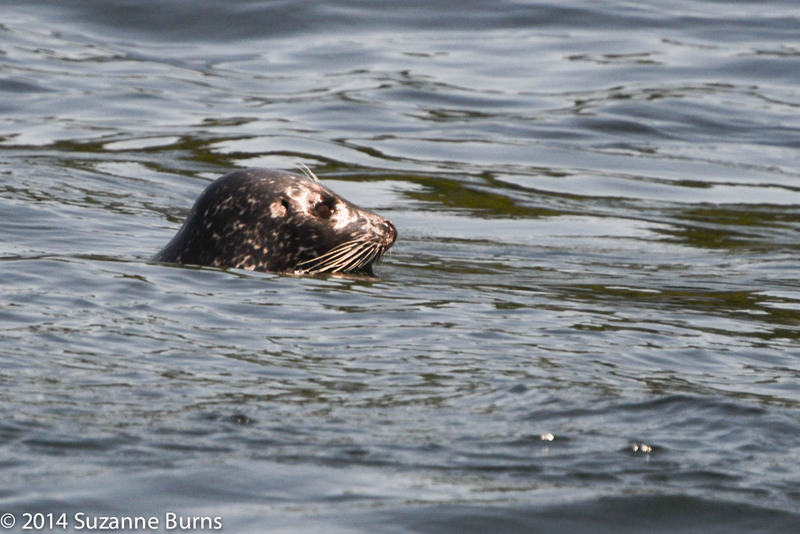 A few seals eyed us keenly while their braver comrades swam ever closer. We wondered, who was really watching who?! 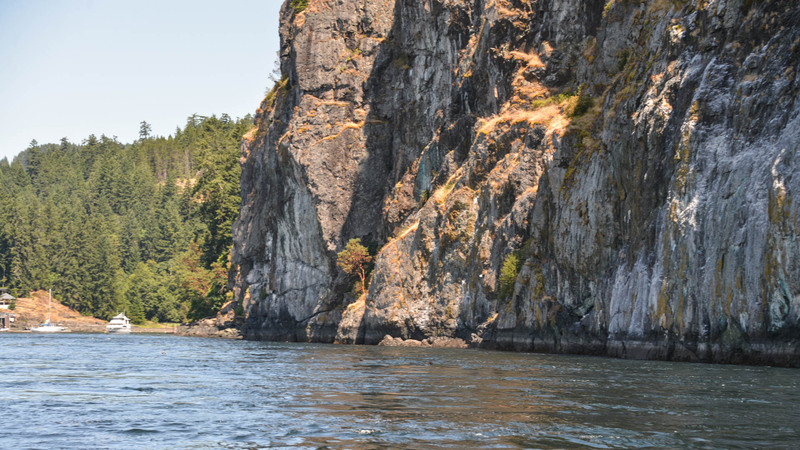 We ventured towards Quathiaski Cove, whose name comes from the Salish words which mean ‘calm waters’ or ‘bear with something in its mouth’. The water was unsettled at this time however, with gulls circling and feeding. Two harbour porpoises popped up amongst them and seemed to also be indulging in a luncheon snack of young herring. A few Bonaparte gulls flitted elegantly above the water to also capitalise on the fishy goodness. 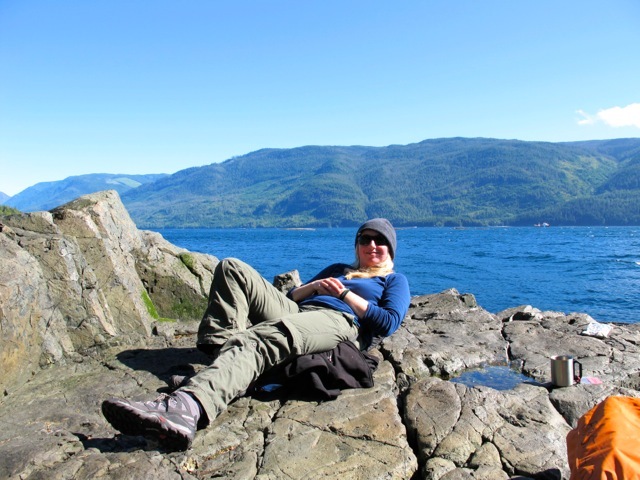 We stopped for lunch off Mitlenatch Island which is a bird sanctuary and research haven, and enjoyed our food in the sun. 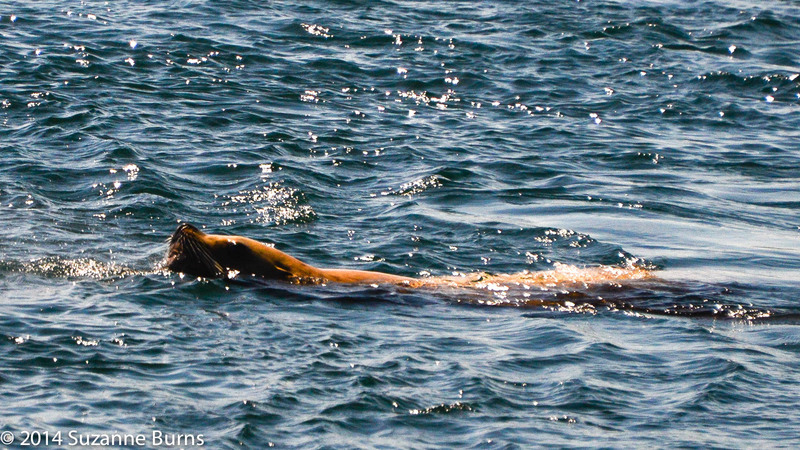 Some passengers had a brief view of a Steller sea lion during our break. Not long after eating, we headed south to view more of the spectacularly beautiful surroundings. 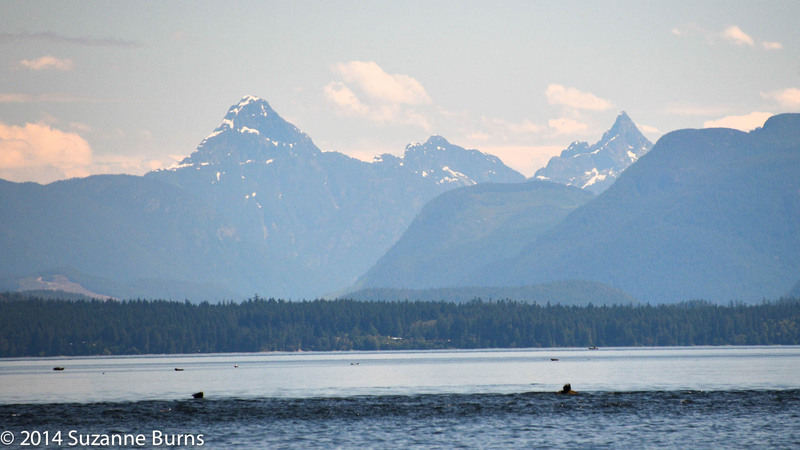 Our boat sped smoothly through the water as we watched the snow capped mountains and forests around us. Captain John kept us entertained with interesting anecdotes and history on the area. The on board naturalist, Anne rounded off our trip with a fascinating talk on the local wildlife and our interconnectedness with all of these creatures.